It’s hard to imagine how restaurants, grocery stores and florists stayed in business before modern refrigeration. Today, it’s impossible to keep vital inventory fresh and safe without reliable reach-in coolers, walk-in coolers, freezers and free-standing units. Max Mechanical Air Conditioning & Heating is a proud provider of commercial refrigeration services throughout Arlington and the Dallas-Fort Worth Metro area, and we offer the full range of solutions that you expect from the best in the industry. Whether you’re buying your first unit or upgrading existing refrigeration equipment, our professional team brings more than 20 years of experience to every job. Contact Max Mechanical Air Conditioning & Heating today at 817-459-4100 or 972-233-1637 for all of your commercial refrigeration needs. Deciding on the best refrigeration unit for your business is a little more complicated than buying a new fridge for the house. Choosing the right walk-in cooler or freezer for a restaurant takes into account available floor space, plumbing and electrical hookups and anticipated foot traffic. Pharmacies and florists both depend on keeping important inventory chilled, but each requires a different type of unit. From convenience stores to nightclubs, we’re here to help you choose the right model for your business. We cover every detail with expert job planning and a wide range of affordable options. 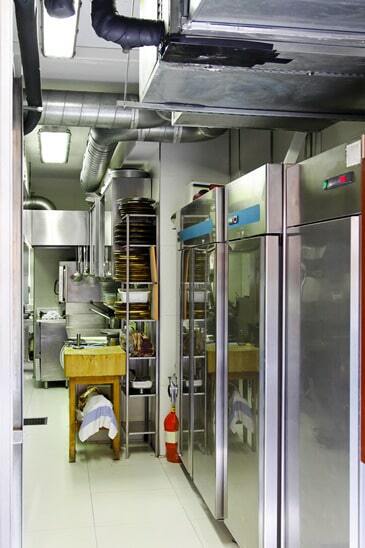 Whether you need one small freezer or a bank of walk-ins, we offer the finest brand names available, and our refrigeration installation services ensure that your project will be completed on time and on budget. When that refrigeration unit goes down, the clock starts ticking on a potential business disaster. Combine the cost of ruined inventory with the loss of customer sales, and it adds up to a serious hit on your bottom line. Because we install and maintain all types of commercial refrigeration, our teams are always ready to tackle that repair job with a fast response to your first call. Our fleet service vans are fully stocked with the parts, equipment and tools necessary to make those vital repairs. Here at Max Mechanical, we take special pride in the high level of expertise and quality workmanship of all our technicians. Our friendly pros bring their ongoing industry training and skill to every job, so they’ll identify the problem right away, explain your options and have you up and running ASAP. It’s easy to take that walk-in cooler for granted as long as it operates smoothly, but that equipment works hard 24/7. Your refrigerators and freezers deserve the kind of regular maintenance that keeps them running in top condition. You deserve the peace of mind that comes from protecting that investment with an affordable maintenance plan. Repairs can be costly, but a regular tune-up heads off potential problems while it keeps that unit humming at maximum efficiency. Your inventory stays fresh and safe, and the utility bills stay down for much less than the cost of emergency service. Our smart maintenance packages are designed to focus on your specific units, so you’re assured of timely, efficient checkups performed by our expert technicians. We can often set up maintenance plans that cover older equipment even if it was installed by another dealer. We’re proud of our outstanding reputation throughout north Texas, and we work hard to earn it by focusing on your complete satisfaction. You expect the highest level of customer service, and we deliver with respect for your time, property and budget. Your investment in our equipment and services pays off with dependable commercial refrigeration solutions that keep you in business. Whether your business resides in Arlington, Dallas, Fort Worth or anywhere in the DFW Metro area, you’ll enjoy the confidence that comes from dealing with local professionals you know you can trust, so give us a call today, and let us put our Max Mechanical difference to work for you. Be sure to ask about our financing options and free estimates. It’s easy to set up an appointment and schedule a service call online, or you can contact our friendly staff for more information at 817-459-4100 or 972-233-1637.